Mental illness runs in Wylie’s family, and Wylie has developed a fear of dying in a hospital like her aunt ever since Wylie started seeing a therapist a few years ago. While there might have been improvements before, things have just been getting worse since Wylie’s mother died. Now Wylie hasn’t left the house in three weeks, and she doesn’t plan on stepping outside ever again—until her best friend goes missing and contacts Wylie for help. 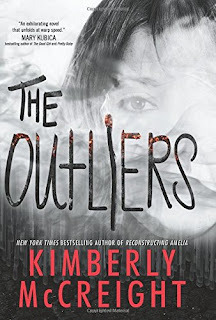 I would have put The Outliers down after the first few chapters if I hadn’t committed to read it for this review. The lack of explanations for what was going on was confusing to the point that I stopped caring. Too many lies were presented as truth, and I couldn’t keep them straight enough to understand where the story was trying to go, which led to frustration at not knowing what to believe. A group of adrenaline junkies is looking for revenge. A blackmailed team is told to steal 50 million dollars. Alone, neither can accomplish their goal; but can they trust each other enough to get out without getting caught? Heist stories never get old. Parker draws her readers in with the allure of accomplishing the impossible and the anticipation of not knowing how everything will work out. While there is an element of romance, I was pleased that the story did not revolve around that aspect but around the action involved in the heist itself. 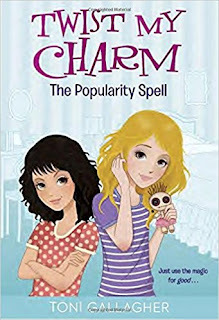 Gallagher, Toni The Popularity Spell (Twist My Charm), 259 pgs. Random House Children’s Books, 2015. $16.99. Language: G; Mature Content: G; Violence: G.
Eleven-year old Cleo Nelson is adjusting to life in Los Angeles, finding it very different from Ohio. School seems dismal until Cleo gets a late birthday present from Uncle Arnie, who has handcrafted a “positive happy” voodoo doll. Cleo and her friend, Samantha, anxiously try out the doll, wishing for simple things and as the voodoo seems to be working, aim for full-fledged popularity. The spells seem to take a dark and unexpected turn, and Sam has to decide what is really important to her. I did not intend to love this book, but I did. There was enough going on that the plot didn’t seem trite. The book showcases the unintended fall out from getting what we think we want without seeing others’ perspectives. The characters are delightful and though the ending is satisfying, it leaves it open for a sequel. I’m there. 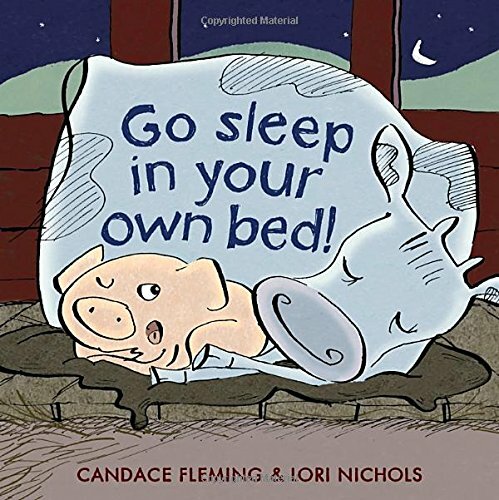 Fleming, Candace Go Sleep in Your Own Bed! 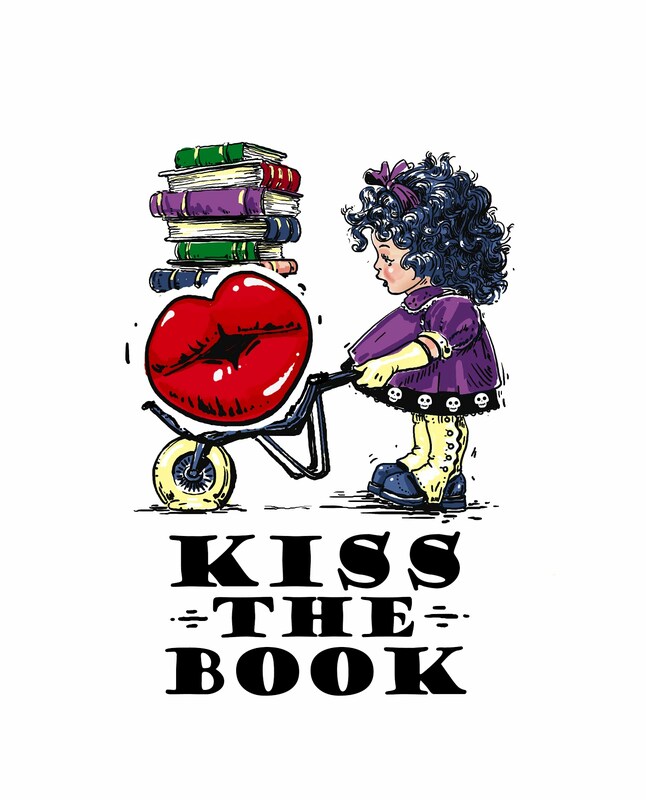 illustrated by Lori Nichols. PICTURE BOOK. Schwartz & Wade Books (Random House), 2017. $17.99. Its nighttime on the farm, and when Pig heads to sleep in his sty he finds Cow already there. He sends Cow along to her own bed, and a chain-reaction begins as none of the animals are in their own beds. Cow sends Chicken to her bed, Chicken sends Horse to his and on and on until Cat finds a comfy place to sleep and the farm can finally settle down. There is not much to dislike about this fun picture book. The illustrations are bit cartoon-y and the color scheme is in subdued blues, making it calming and perfect for an evening read. Animal sounds are incorporated into the simple text, and younger readers will enjoy picking out what animal was in the wrong bed each time. I think this will be a popular choice for bedtime reading. 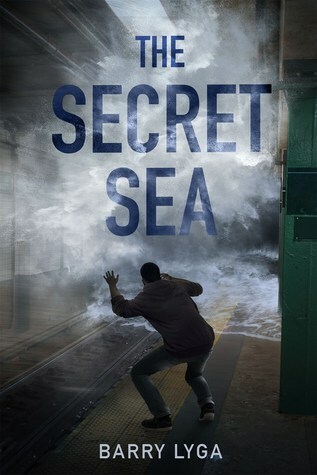 Lyga, Barry The Secret Sea, 430 pgs. Feiwel and Friends, 2016. $16.99. Language: PG (6 swears, 0 “f”); Mature Content: PG; Violence: PG. Zak Killian is hearing voices, which he thinks may be his guardian angel. After he runs to save himself from a flooding subway station that isn’t really flooding, his estranged parents worry not only about his strange behavior, but a heart condition Zak was born with. As the voices intensify, Zach and his two friends, Moira and Kahlid go on the run to find the source of the visions, literally plunging into an alternative universe. Zak faces danger in this new universe and has to decide which voices to trust because lives in both universes could be at risk through his actions. The premise is interesting, and I liked the author’s note at the back of the book explaining how he got his ideas. Zak and his friends seem a little too willing to go against their families and break laws just because of Zak’s voices. Zak’s feelings of grief, loss, and betrayal seem a bit over the top considering how little he knew of the source, and the book lagged in spots.